By Garett Sloane . Published on April 25, 2018. Facebook showed at least initial resilience on Wednesday when it released its financial results from the first quarter, a period when the social network was criticized for the way it handles information about its users. Despite negative headlines about Facebook's unmatched reach, Cambridge Analytica's allegedly improper use of Facebook data on up to 90 million users, the calls to "#deleteFacebook" and two days of Congressional hearings for CEO Mark Zuckerberg, the company emerged with nearly $5 billion in net income for the quarter, up 62.8 percent from a year earlier. Facebook sold $11.8 billion in ads during the first quarter, up 50 percent. That year-over-year growth was slightly stronger, in fact, than before the Cambridge Analytica news broke; fourth-quarter ad revenue grew 49 percent. And perhaps most strikingly, users continued to grow. That's despite a #deleteFacebook movement encouraged defections in wake of not only privacy problems but concerns about widespread abuse on the platform, including the fake news misinformation campaigns dating to before the 2016 presidential election. The Cambridge Analytica story hit toward the end of the quarter, in the middle of March, however, so the full impact might not register in the latest filing financial filings. "It's too soon to tell even if there is much momentum to this," says Brian Wieser, Pivotal Research analyst. "I think the impact of eroded trust will require a significant amount of time to play out." Global daily users hit 1.45 billion in the first quarter, an increase of 13 percent year over year. Daily users in the United States and Canada, which posted a surprise decline to 184 million in the fourth quarter, rose to 185 million in the first quarter. 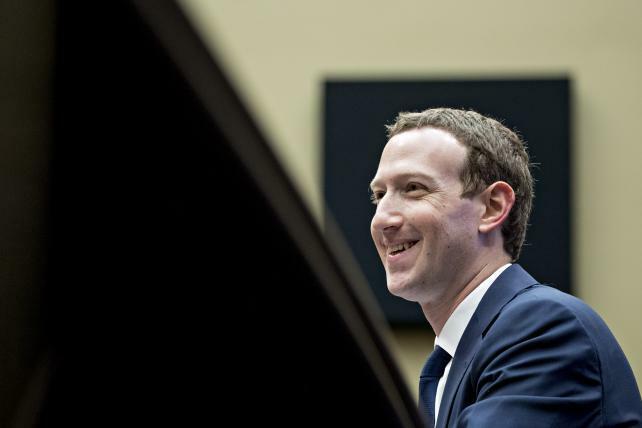 Despite the financial success and the advertisings support, Zuckerberg reiterated the company's game plan to implement better data controls and take responsibility for the bad actors that have had a free run mostly. "Despite facing important challenges, our community and business are off to a strong start in 2018," Zuckerberg said in the earnings announcement. "We are taking a broader view of our responsibility and investing to make sure our services are used for good. But we also need to keep building new tools to help people connect, strengthen our communities, and bring the world closer together."